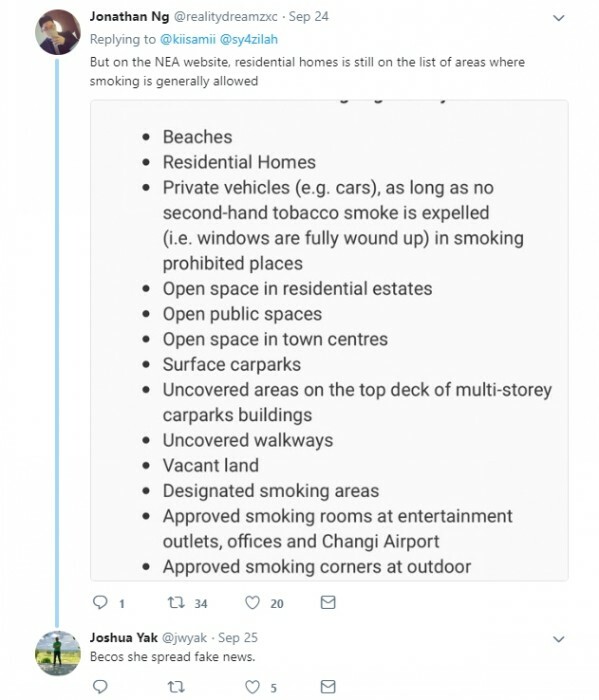 The National Environment Agency (NEA) has clarified that the agency does not enforce against smoking in homes following a Stomp media query regarding claims made by netizens that cameras have been planted to fine people "smoking in bedrooms". The NEA directed Stomp to their statement that was posted on Facebook on Wednesday (Sep 26) at 3pm after Stomp alerted them to a tweet posted by Twitter user @kiisamii. 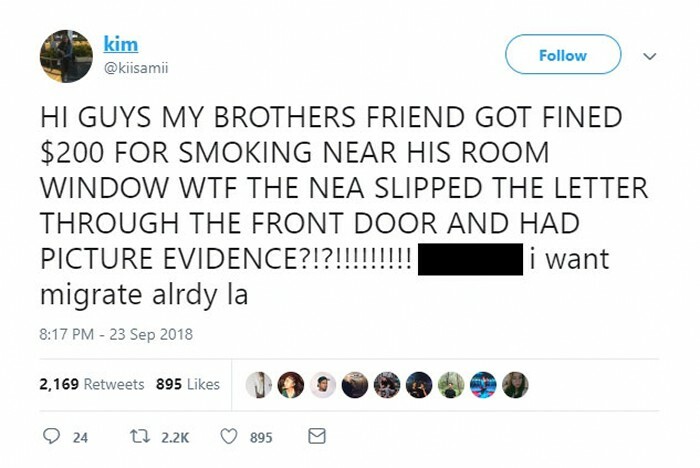 The netizen alleged that his brother's friend had been fined $200 for "smoking near his room window". The tweet has garnered over 2,100 retweets and 890 likes since it was posted on Sunday (Sep 23) at about 8.17pm. 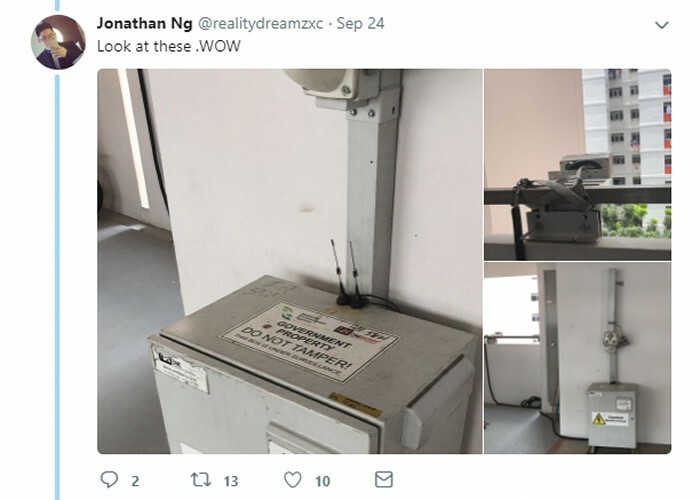 Photos of an NEA camera were posted in reply to @kiisamii's tweet. 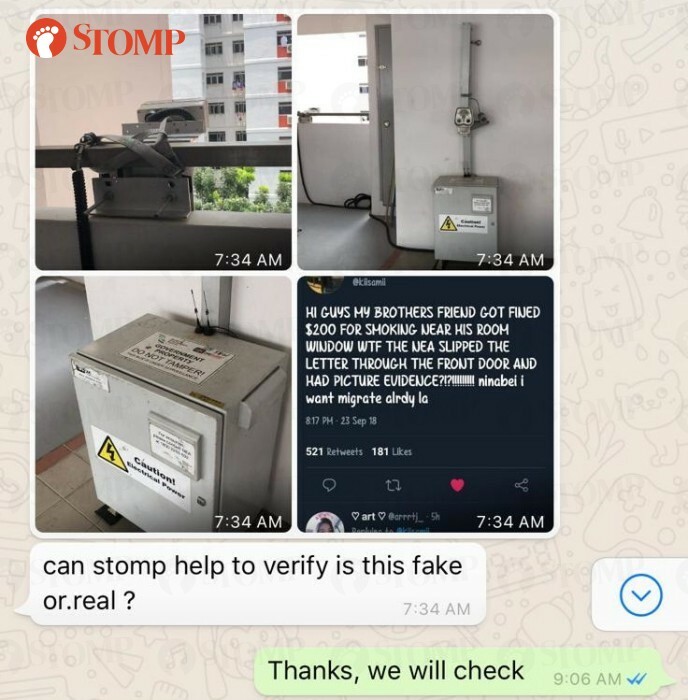 Several Stompers alerted Stomp to the photos of the camera and a screenshot of @kiisamii's tweet circulating on social media. Some netizens then claimed that the cameras were installed to catch people "smoking in bedrooms". However, several netizens expressed doubt and asked for "evidence" to substantiate these claims. In its Facebook post, the NEA clarified that the cameras are only used for high-rise littering enforcement. The law does not prohibit smoking in residential homes. NEA, therefore, does not enforce against smoking in homes. However, acts of kindness need no law. 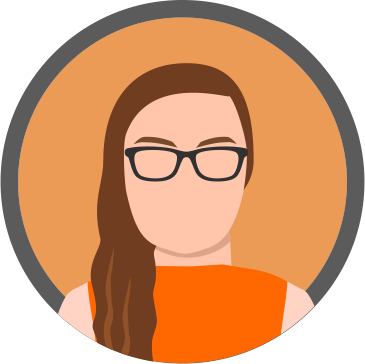 Smokers can be considerate and show kindness to their neighbours by not smoking near the windows, balconies or doors. And yes, we also have thermal surveillance cameras for smoking enforcement. 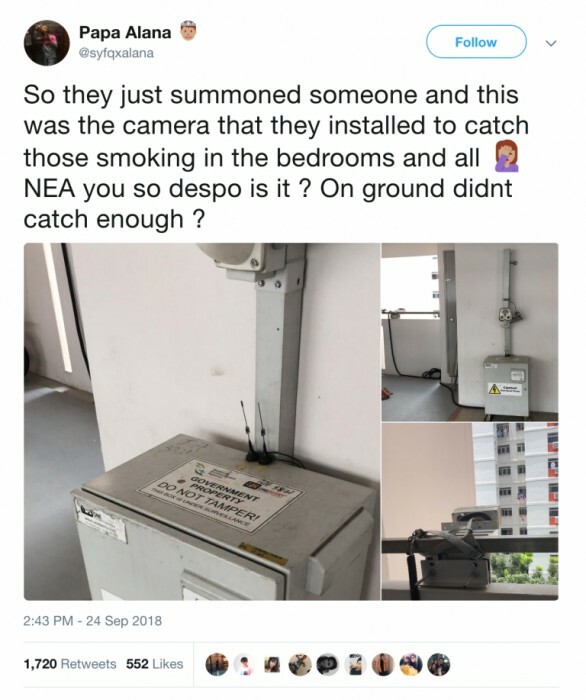 NEA will be deploying thermal surveillance cameras at smoking prohibited areas with persistent smoking infringements in public spaces, such as common corridors, lift lobbies and staircase landings, starting from first half of 2019. It also said to beware of fake news.